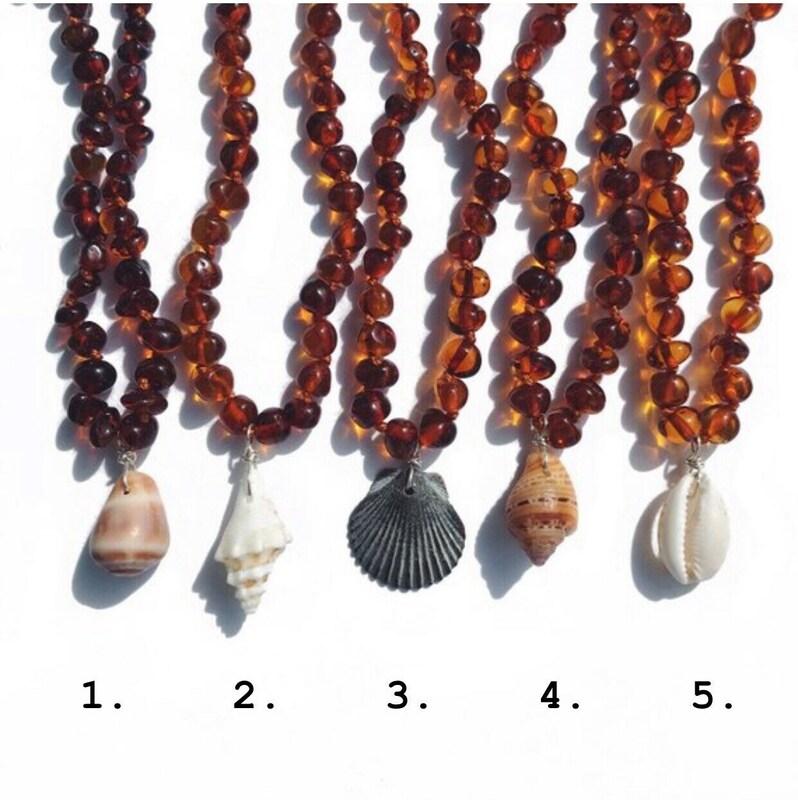 These certified Baltic amber necklaces with a locally found shell charm are the perfect accessory for a teething beach baby. Amber is fossilized tree resin that contains succinic acid, which is believed to have soothing properties that are absorbed through the skin. 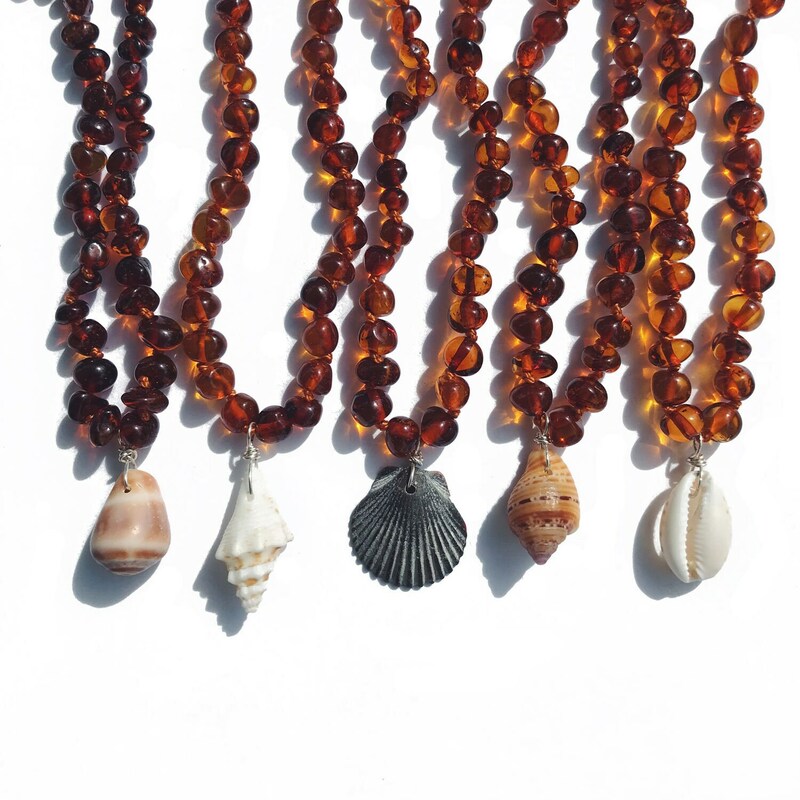 Each piece of amber is knotted individually on silk cord. The necklaces are 12.5” long. If you know a beach baby, a baby that could use some beach vibes in his or her life, or one who needs some relief from teething, these are a great gift! Months before baby Lila’s teeth starting coming in, she drooled so much we would have to change her clothes because they‘d be drenched in drool. Many of our friends swore by the amber necklaces, so we decided to give one a try & baby Lila loved it! Her drooling stopped almost completely & she never seemed to have teething pains, even when 4 on the top row were coming out all at once. The baby sized shells are sustainably collected on different beaches near my home in western Puerto Rico. Each one is carefully selected for its small size & smoothness. I want to be sure each one is so comfortable that baby will not even notice it's there. I drill each shell & attach them sturdily & carefully, enough to withstand baby tugs, using .925 nickel free sterling silver wire. Have questions? Please send a message. 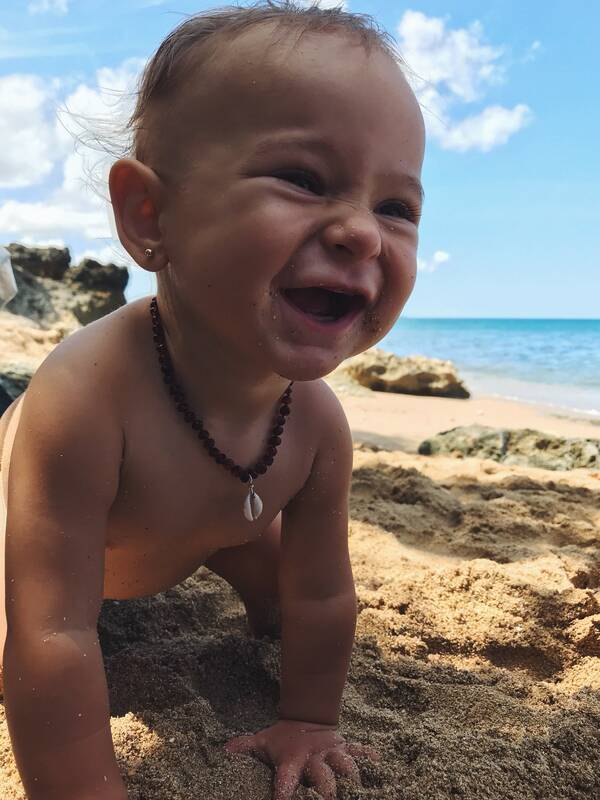 🙂 We love these amber beach baby necklaces & think you will too!